The electronics photos showing bundles of wiring are for a special edition (250 piece run) of the Tomcats to be sold at a future trade show. Cockpit lighting, nav lights, and faux exhaust illumination are included at the price of $280 compared to $230 for the standard model. Instead of the name of the carrier printed on the side of the fuselage, it will read the name of the show. If you are interested in this model, let us know and we’ll try to get some. The photos in question were taken down earlier today. 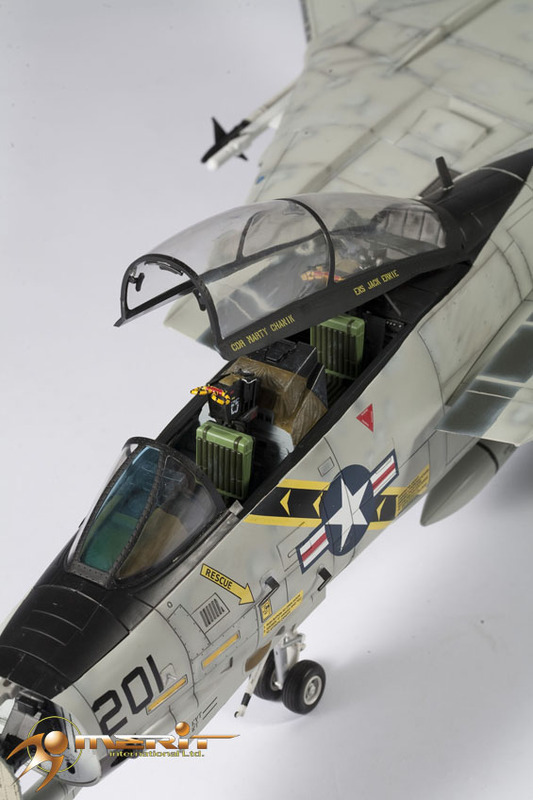 It looks like some, if not all of the 250 limited edition 1/18 F-14A Tomcat models will be painted in VF-84 Jolly Rogers colors. The possibility of LEDs was looked into months back, so look at this as a test run of sorts. JSI is also willing to do custom work, as Toyark boards member Sapphireneonut has commissioned them to make a custom 1/18 F-14A Tomcat. The Special Edition Tomcat will be available to all vendors at the first annual Christmas “A Weekend of Heroes” show in California on December 5th. 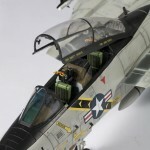 Any outstanding pieces will then be made available to dealers on the 6th who have purchased the regular F-14. Just what exactly the ‘extras’ will be is unknown but we are told by Merit more information will be coming soon. HI guys, even this ltd edition will be a vf-84? Talking about the price: if the difference between the 2 versions will be 50 usd, I think that the 2nd will be more tempting, ciao da Roma. I believe so. The parts(with wiring) shown in the photos that Merit took down were already painted in VF-84 colors. I will be at the show if anyone wants one of these pm me.. I would need the funds upfront though. I will not spot anyone.. I will only pickup 1 per person. Hi guys, as you "closer" to the US retailer, what in your opinion, according to the several rumors, will be the actual price to the public of the ltd. version of this gattone? Hey man, the only price I've heard is $280 right now.